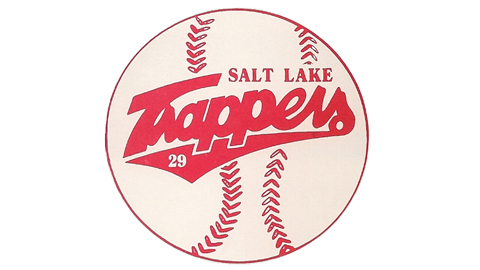 On Thursday, July 26, the Salt Lake Bees will honor the 1987 Salt Lake Trappers, marking the 25th anniversary of the team's 29 consecutive games won. The "29 in a Row" by the Trappers remains the longest winning streak in American professional baseball history. The Bees will wear authentic Trappers uniforms during the team's game against the Sacramento River Cats. The Trappers will be recognized during an on-field pregame ceremony and Trappers manager Jim Gilligan will throw out the ceremonial first pitch. Select team members will be available for autographs on the concourse throughout the game. Longtime Fox 13 (KSTU) sports anchor/reporter Mike Runge will serve as public address announcer for the game, a position he held for the Trappers. A limited number of $5 general admission tickets are currently available and can be purchased online at slbees.com and at the Spring Mobile Ballpark box office. The Salt Lake Bees begin an eight-game home stand tonight at 7:05 p.m. against the Fresno Grizzlies at Spring Mobile Ballpark with a fireworks show immediately following the game. 2012 Bees ticket packages are still available. For more information, call (801) 325-BASE or visit slbees.com. About the Salt Lake Trappers The Salt Lake Trappers were an independent Pioneer League team based in Salt Lake City from 1985-92. Part owners included current Los Angeles Angels of Anaheim owner Arte Moreno and actor/comedian Bill Murray. The team played its home games at Derks Field, formerly located on the current site of Spring Mobile Ballpark. The Trappers captured four league titles, including the 1987 championship in which the team won 29 consecutive games, setting a professional baseball record that still stands. For more information regarding the 1987 Trappers, visit 29inarow.com.